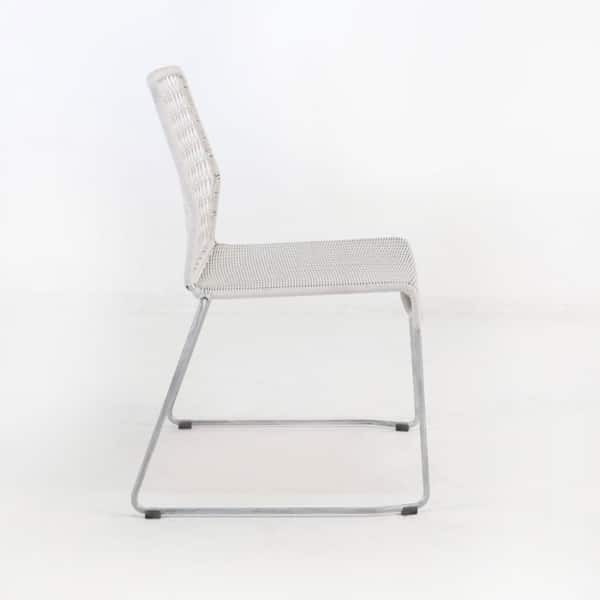 The Edge Side Chair in Chalk Color is a slim, modern dining chair with so much versatility and a solid construction. The Ecolene® synthetic wicker weave is a lightweight and capable fiber made for use outdoors, woven onto a sturdy steel frame, zinc plated (galvanized) for corrosion resistance and great looks. A bit of an industrial vibe, but paired with elegant lines and superb materials, this chair has a look unmatched by any other dining chair. You get a minimal footprint and a minimal feel in a substantial and comfortable piece of furniture, built to last many years. 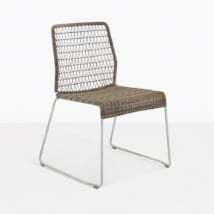 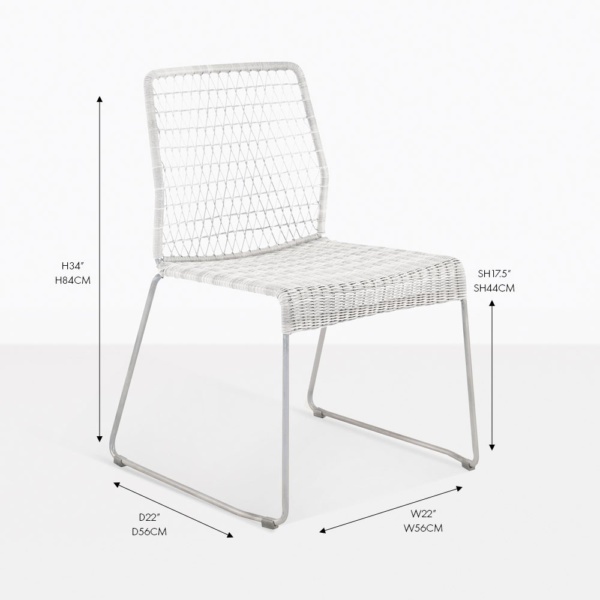 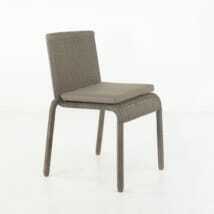 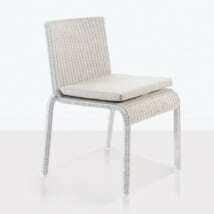 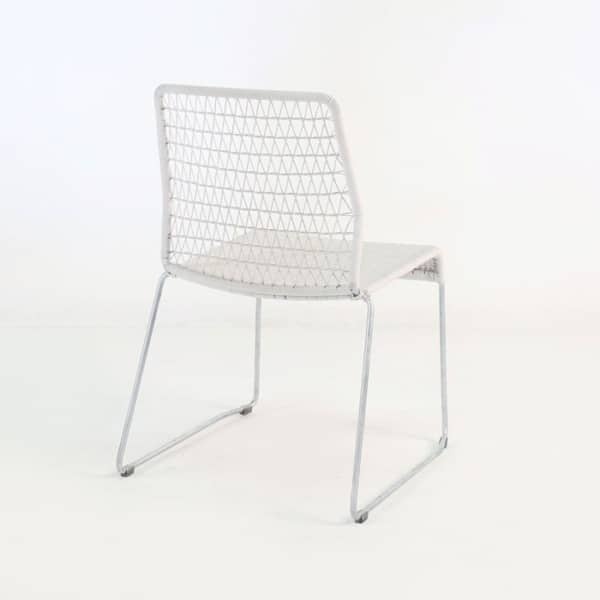 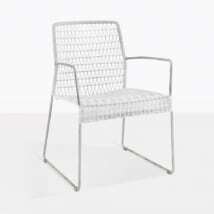 The edge side chair is a dining chair that works with any space or table, formal, casual or otherwise.